Hun Yuan, is a concept and an exercise that is also a separate school of teaching and/ or a principle addended upon or within an existing martial exercise. The named Hun Yuan Yi Chi Chuang [ original unified chi palm] has been merged with the Hong Kong 'LHBF' by teachers desiring improvement over conservatism. This teaching was not part of LiuHe BaFa exercise-system of Nanking. Thus, for this amended -LHBF-curriculum, there are at least five (5) known links and crossovers: the 'water-style' to the LiuHe BaFa, the hun-yuan one-chi 'spiral-pulse', the tai-chi 'waving', the Lu Hung 8-strategies [which distinguishes Nanjing LHBF from earlier fluid waterstyle ] and the Yi Quan stepping and standing. A case could also be made for an actual linking of the Chao Family Ruler Standards. Hun Yuan Yi Chi Chang, Huan-Yuan I-Qi Zhang, unified force palm. According to an interview in 2007 between Eric Matheson of Denmark and Lo Chi Wun, both Msr. 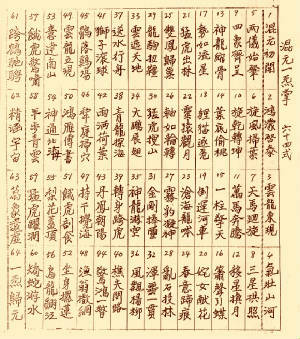 Lo and Li thought that an advancement could be made on the LHBF by understanding the principles of the Hun Yuan one-chi principles. 'While Msr. 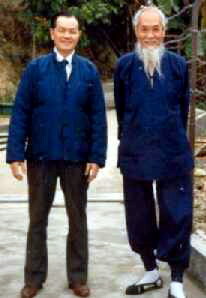 Lo Chi Wan was teaching LHBF in the Botanical Gardens in Hong Kong, an elderly man named Lee Cheung Wah befriended him. Msr. Lee commented that Lo Chi Wan's LHBF was good but still lacking. My master asked for instuctions and on trying out with Lee, my master acknowledged Lee's skill and went on to study Wun Yuen Yat Hei Cheung from Lee. Wun Yuen Yat Hei Cheung from Lee is divided into 64 sections ...and is much more intricate than LHBF. There is little known about Wun Yuen. "Master Lo was told by Lee that this art was only known by himself and his elder brother who lives in China, and as far as he is aware, no one else knows this art. The reason he taught master Lo was that his elder brother ask him to find someone suitable and pass the art on so that it will not be lost as the elder brother said he will not pass it on in China. 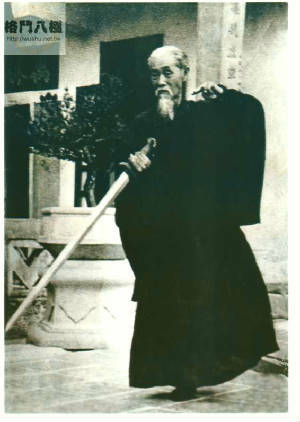 Photo of my Liu He Ba Fa grandmaster practicing his sword form at a temple where he resides. Connie Coelho. 'Let me introduce myself. My name is Cornelius Coelho born January 1941. Father of Portuguese origin and mother Chinese. At age 15, I studied Choy Lay Fut under master Lee Chau. 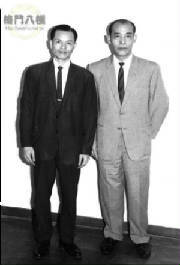 From the mid sixties to the present time I have continuosly taught Liu He Ba Fa. With the martial art concepts of LHBF I have successfully trained students to enter into full combat Kung Fu / Kickboxing/ Boxing competitions in Hong Kong and Australia and internationally with some success. In the late seventies I was the national coach for the Hong Kong Boxing Assn. Due to health reasons I studied LHBF under master Lo Chi Wun in 1967 and also a rare Taoist martial art called Wun Yuen Yat Hei Cheung. Since gaining my health back I have decided to fully commit myself to perfecting the LHBF and the WYYHC and also sharing my knowledge with others. I migrated to Australia in 1985, joined the Australian Chinese Kung Fu Assn. in 1986 and was elected President in 1988. I am sure you are thinking that the above is too good to be true. Bear with me and check it out. You may be surprised. In the meantime, I am still looking for some who may have also studied from Master Lo Che-Yuen who may have immigrated to Canada or the US. Movements and Void (i.e. After having achieved the Five Unions, you have to forget focusing on the Five Unions when effecting a Strike or Movement). When the Six Unions are achieved the focusing on the co-ordination of Body/Heart/Intention/Chi/Spirit are no longer required in order to deliver an effective striking technique. To achieve the Sixth Union (this is the final stage) the practitioner must train the Buttock Muscles to manipulate the movement of the arms when doing the Form Set or striking techniques without having to use the top body muscles. The Buttock Muscles are trained to a stage where without thought or focus the arms are automatically manipulated to effect a striking technique or movement. At this stage the Sixth Union is successfully completed. The above factors besides lessening ones effectiveness in Martial Art, is also detrimental to ones health and well-being. Chi Gung exercises (repeat each exercise 9 times) ensures it is done slowly using the Buttock Muscles. This is very important, as the exercises will train the Buttock Muscles to move the arms in different angles and directions. Through constant practice the practitioner will be able to deliver a technique or movement using the Buttock Muscles automatically without having to focus on the Buttock Muscles. 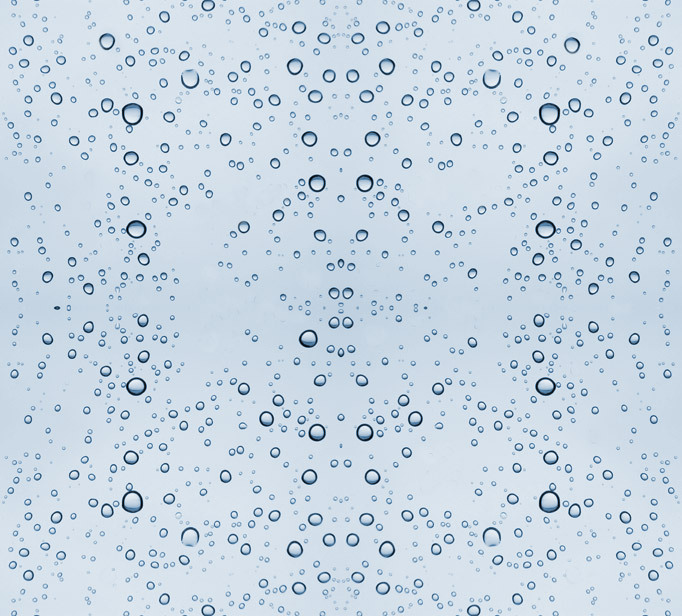 The exercises also help cultivate the Chi and strengthen the internal organs. Chi Gung exercises actually are certain movements, extracted from the Wun Yuen Form for people who only wanted to cultivate the Chi and the internal organs to improve their health. Practising the Wun Yuen Form using the buttock muscles throughout to manipulate the arms. One can describe the Wun Yuen Set as a whole series of Chi Gung exercises. The set is designed to improve the performance of the Buttock Muscles, cultivate the Chi and strengthen the internal organ. Ensure that the above exercises are practised without focus or intention especially the meditation and Chi Gung exercises. Keep in mind, focusing and intention when doing the exercises will stress the internal organs and disturbs the Breath.